We are pleased to announce that in early June our beloved teacher, Khenpo Lodro Donyo Rinpoche, will return to Portland to offer teachings and to preside over the gate opening ceremonies celebrating the completion of KCC's Three Year Retreat at our retreat center Ser Cho Osel Ling. We are very grateful that Rinpoche will be taking time from his many responsibilities and come half way around the world to officiate and offer teachings. Rinpoche's teachings in Portland will follow the theme of how the Dharma provides us the means to fruitfully work with adversity in our ordinary lives. Listening to Rinpoche’s teachings will help us see how difficult circumstances are not only workable, they are precisely the means for attaining full release from the causes of suffering. His presence at the gate opening ceremonies will help us celebrate honoring our commitment to Bokar Rinpoche to build our retreat center and complete the Three Year Retreat. Khenpo Rinpoche was the primary disciple of the late Bokar Rinpoche and he is our primary connection to the roots of our lineage of practice. 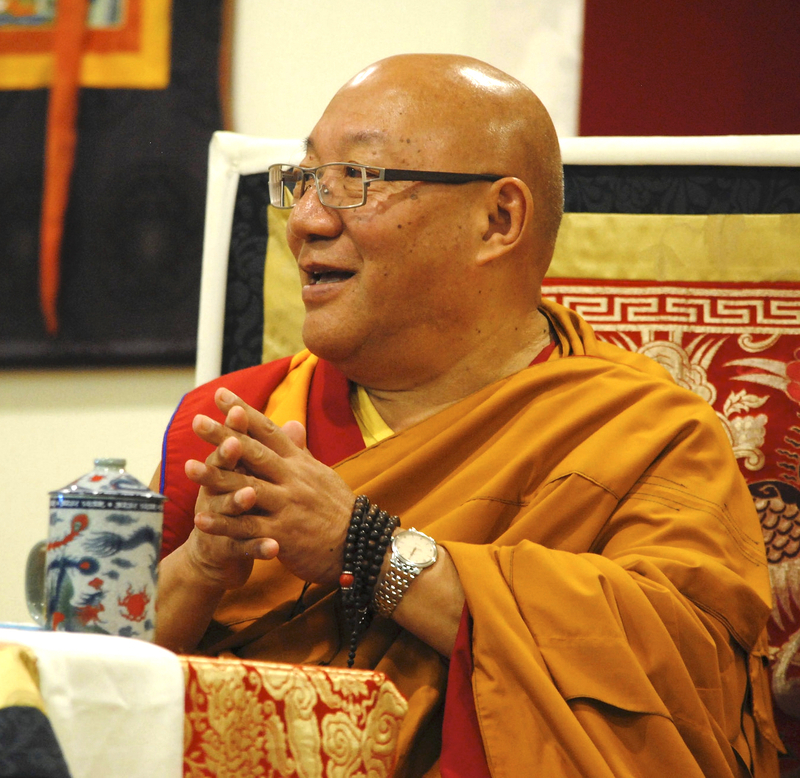 Rinpoche's' joyous outlook reflects his deep meditative experience and extensive study of the Dharma and adds a richness to all his teachings. This visit will allow us the rare opportunity to deepen our connection with a living example of one whose life has been steeped in Dharma practice. As much as we try, we cannot tailor the world to suit ourselves, and unwanted circumstances may lead to feelings of frustration, victimization, or anger. How can we learn, instead, to respond to adversity in ways that lead to benefit for ourselves and others? Rinpoche will share some of the methods offered by Buddhism to transform painful situations into conditions that foster progress on our spiritual path. These pithy teachings by the early lineage master Gampopa outline how the stages of spiritual transformation evolve from the initial inspiration to turn away from our patterns of confusion up to the recognition of Buddha Nature. The essential points are summarized in the following brief prayer which is found in many Kagyu practices. Bless me that my mind turn toward the Dharma. Bless me that the Dharma may become a path. Bless me that the path may clarify confusion. Bless me that confusion may dawn as wisdom. In contrast to philosophical explanations, the Four Dharmas clarify how our motivation, understanding and experience are gradually transformed as we cultivate the view and meditation and learn to work with all the varied circumstances of our lives. Those familiar with the teachings on the Three Turnings of the Wheel of the Dharma will find many of the same themes reflected in this pithy presentation of the path. Rinpoche will impart his wisdom about the journey through life and death as presented in the six “bardos” (intervals) teachings of the Tibetan Buddhist tradition. This will include advice on how to prepare for death, what is important at the time of death, and how we can help each other in the process. These teachings will add a special new dimension to our ongoing programming on preparing for death. In the process of dying the comfortable familiarity of ordinary experience will fade away and the knowledge we rely on to solve life's practical problems will be of little help. The teachings on the six bardos can help us understand how experience can transform at the time of death. This understanding can help us appreciate the importance of the long term cultivation of compassion and meditative awareness which can allow us to discover the liberation possible in the midst of these experiences.